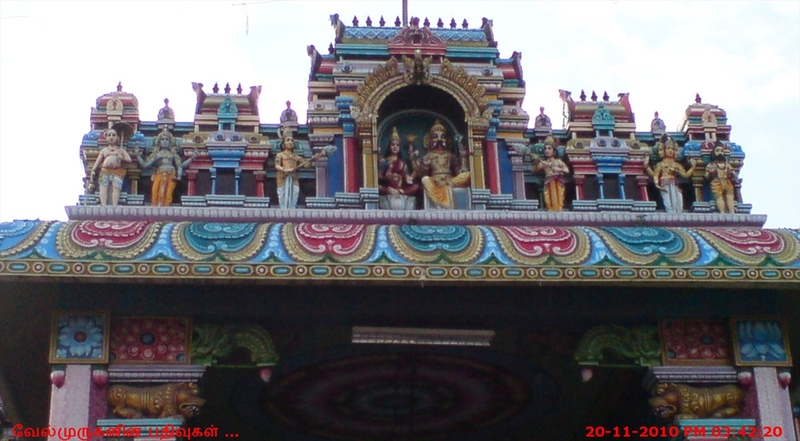 Namakkal is also known as Namagiri . 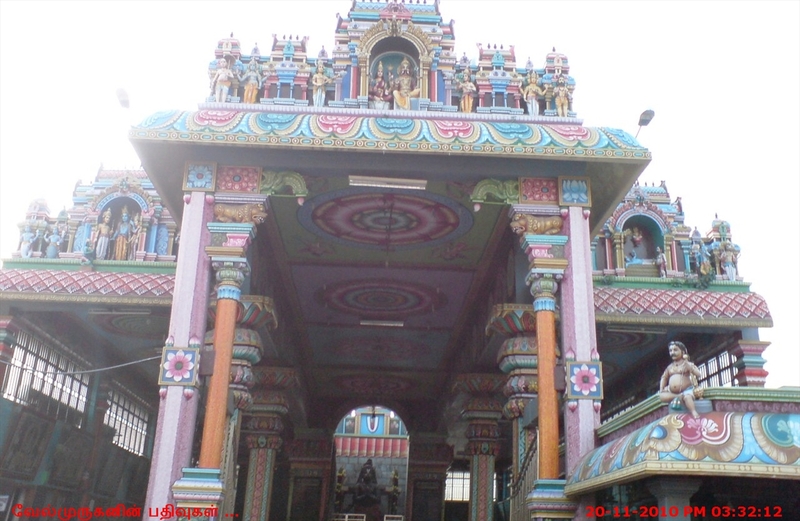 It is now becoming a very important centre all over India for egg production, truck building and education,though Namakkal is synonymous with Lord Anjaneya to the people of Tamilnadu. 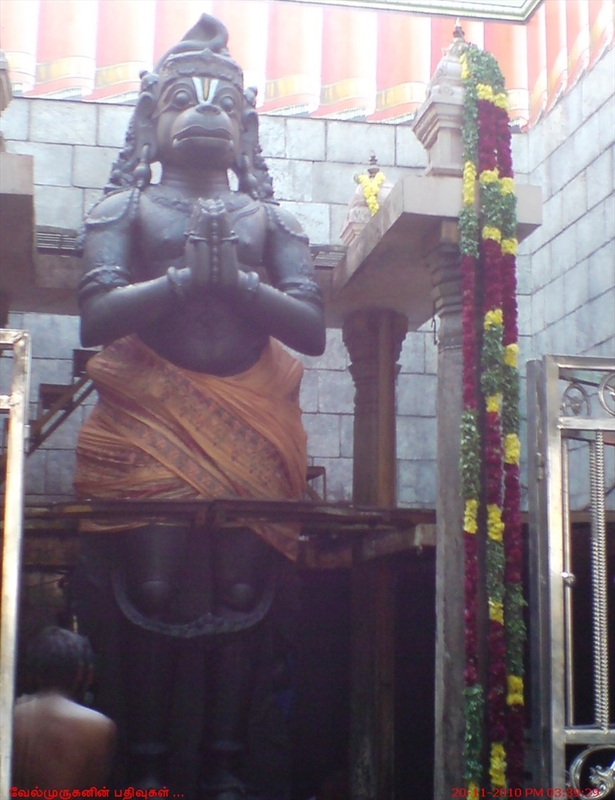 Sri Aanjaneya in the temple is 18 feet tall and graces with a Japamala in hand and a sword in the waist. The eyes of the idol, in constant guard and respect, are fixed – in a straight line- at the lotus feet of Sri Laksmi Narasimha at the hill temple while Hanuman’s legs are firmly fixed on the earth. 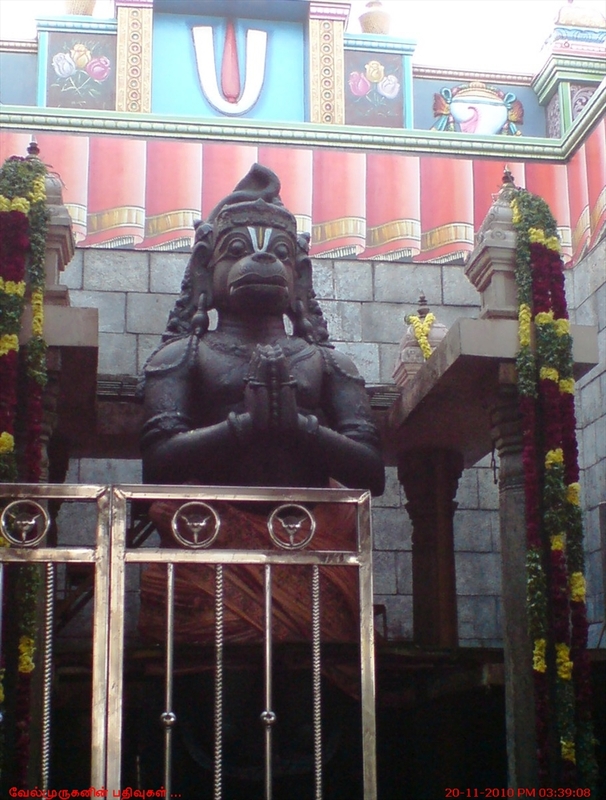 The super imposing figure of Anjaneya is left open; the sky is the roof. People offer ‘vadai malai’ and flowers to Lord Anjaneya. The other Anjaneya is on the banks of ‘Kamalalaya’ the temple tank. This one is an art of exemplary beauty. 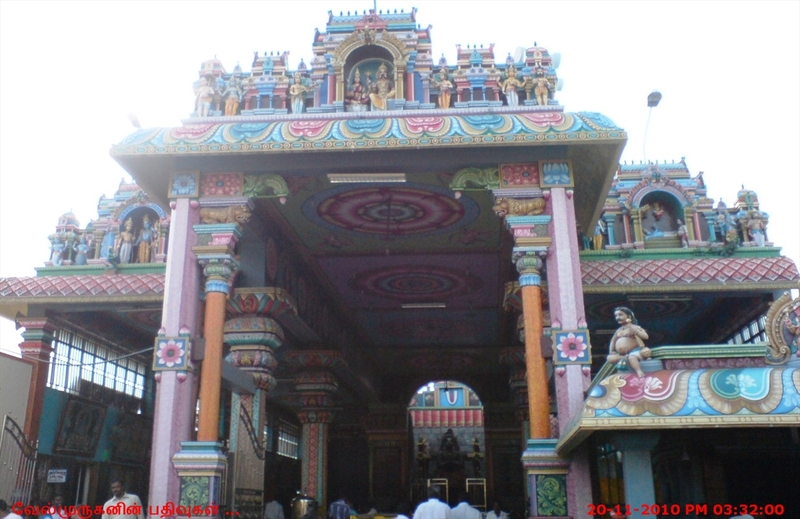 Anjaneya is in Digambara temple (with sky as the roof) facing and worshipping Lord Lakshmi Narasimha and the Saleegramam.